In the past year MapleStory has seen the arrival of many new classes. 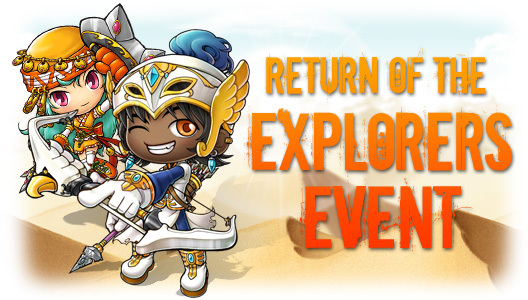 Last summer the Cygnus Knights arrived in Maple World to battle evil in the name of the Empress. Then came the Aran and Evan, legendary heroes who returned to battle the Black Mage. Yet one group was forgotten--the mighty Explorers, the intrepid pioneers who battle monsters every day without fanfare. Where is their celebration? Are these quests able to be pre-completed? Because there's no way in hell that I'm doing all that grinding again. What do you mean the event is off the hook!. 1 million maple points? WTF. WTTFFFF. LOL. And that's a sweet 1st price indeed ;D.
Basically they were heneseys eye cupon(vip), Ap reset, and vip teleport rock.